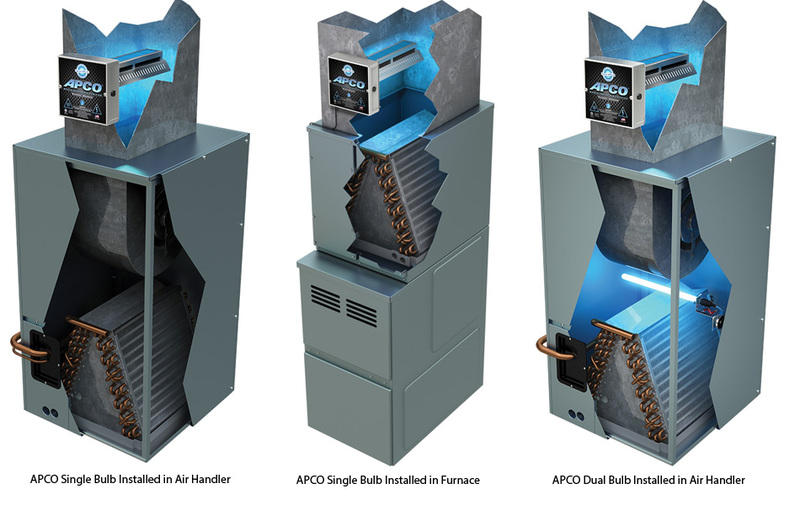 The Fresh-Aire UV APCO™ is the next generation in IAQ improvement technology, incorporating an advanced absorptive photo-catalytic oxidation (APCO) monolithic cell. A Current PCO technology is limited by only being capable of breaking down simple indoor air contaminates such as odors in the air as they pass by the PCO cell. Traditional PCO cells are ineffective on more complex VOCs such as formaldehyde or toluene.The Fresh-Aire UV APCO™ cell absorbs these contaminates and allows time for complete oxidation of these contaminates. Plus, the cell is regenerative, breaking down the captured impurities to simple carbon dioxide and water vapor. 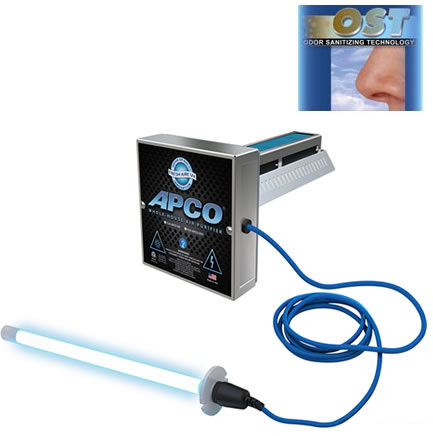 In addition, the Fresh-Aire UV APCO™ uses our proven shielded UV-C lamp for airborne disinfection, not to mention irradiating the coil to eliminate system clogging biological growth unlike other PCO systems. Advanced Monolithic Absorptive PCO cell with proprietary absorption media and proven TiO2 photo-catalytic coating for the reduction of complex VOCs and household odors. Volatile Organic Compounds (VOCs) can make indoor air smell bad and can be harmful to your health. There are thousands of different VOCs produced and used in our daily lives, including toxic chemicals such as formaldehyde, benzene, and acetone.